At Rydoo, we understand keeping track of travel and expenses from one country to another can be difficult to navigate. Different currencies and their rapidly changing exchange rate can make accounting an administrative nightmare. With Rydoo, our OCR scanners extract all the relevant information from uploaded receipts, including date of purchase and currency used and our system calculates the exact exchange rate for you. It really is that easy. Currently operational in over 60 countries, Rydoo is easy to use and simply cuts down on mundane, time consuming tasks. We are integrated with Google Maps to accurately calculate mileage, and it’s possible to connect to other apps such as Uber and Lyft to seamlessly manage your expense flow. 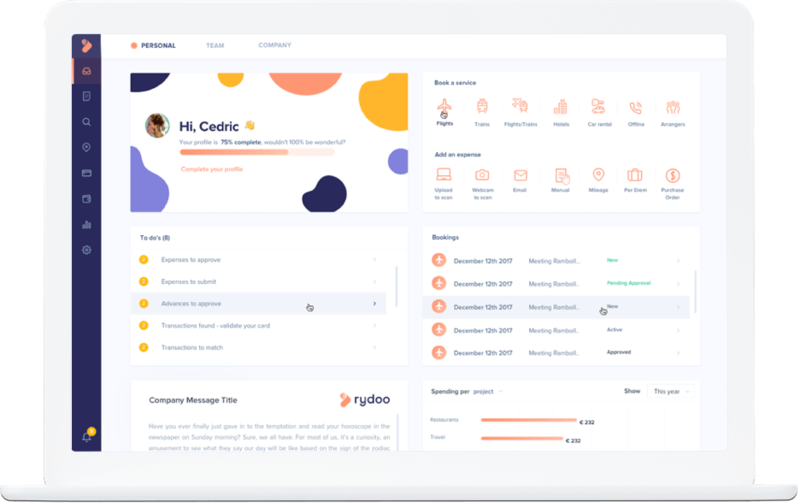 To find out more about how Rydoo can help those working in the travel industry, simply get in touch or try it for yourself with our 14-day free trial. Finance Managers or Travel Managers can control who, when and how employees will receive their per diems. When planning a work trip, business travellers can simply enter their trip details and voila: their per-diems will be ready to go. Rydoo will convert all expenses into the currencies you’re working with in accounting. We update our conversion rates daily, so you’ll receive the correct rate based on the exact date of the given expense. Define custom rules based on amount, category, weekend expenses, duplicate expenses and so on. Decide if expenses need to be flagged, can be auto-approved or if someone needs to be informed about an out of policy expense.